How best to handle and work with data at super-mega scale? How can one best decipher and understand that high-volume data and, in turn, convert it into a competitive advantage? Living as we do today, well into the age of Big Data, it sure helps to have some guidance from those who are at the frontline of these endeavors which revolve around these two questions—Online resources are indispensable and fantastic in their own right, especially for cutting edge updates. But what about times when you simply want to sit down and really absorb the wisdom of our Big Data sages—the underlying conceptual infrastructure that powers the Big Data machinery—in a more sustained and methodical way? Its engine can execute a more general directed acyclic graph (DAG) of operators. It complements this capability with a rich set of transformations. It extends its predecessors with in-memory processing. Its Resilient Distributed Dataset (RDD) abstraction enables developers to materialize any point in a processing pipeline into memory across the cluster. 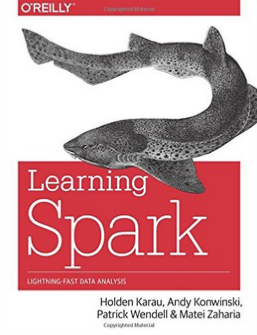 One particularly telling remark that the authors make has to do with how, “…With respect to the pertinence of munging and ETL, Spark strives to be something closer to the Python of big data than the Matlab of big data”. Spark’s in-memory caching makes it equally ideal for programming in the large and small. And what’s possibly most exciting is how Spark bridges the gap between the avenues of exploratory analytics and production (i.e. operational) analytics! And given Spark’s tight integration with Hadoop ecosystem makes it an eminently accessible and attractive framework. 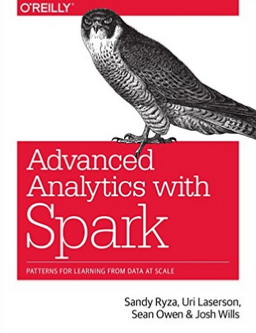 If the preceding themes strike a chord with you—and if you’re looking for deep dives to get a sense for the feel of using Spark to do complex analytics on massive data sets—look no further than this book. It covers the entire pipeline in an exceptionally clear and engaging style. A bunch of diverse domains are engagingly covered in no less than nine case studies, to which a chapter each is devoted. These chapters make up the bulk of this stellar book. All in all, Advanced Analytics with Spark: Patterns for Learning from Data at Scale is a book that’s got me really excited about the possibilities of this remarkable platform! Spark brings value by its ease-of-use (fire up Spark on your laptop, and start using its high-level API, which enables you to focus on your domain-specific computations). Spark enables interactive use for tackling complex algorithms. And you get in Spark a general-purpose computation engine (thinking here to combining multiple types of computations, such as ML, text processing, SQL querying, etc.) that would previously have necessitated a bunch of different engines. This book targets data scientists and engineers. We chose these two groups because they have the most to gain from using Spark to expand the scope of problems they can solve. Spark’s rich collection of data-focused libraries (like MLlib) makes it easy for data scientists to go beyond problems that fit on a single machine while using their statistical background. Engineers, meanwhile, will learn how to write general-purpose distributed programs in Spark and operate production applications. Engineers and data scientists will both learn different details from this book, but will both be able to apply Spark to solve large distributed problems in their respective fields. The second group this book targets is software engineers who have some experience with Java, Python, or another programming language. If you are an engineer, we hope that this book will show you how to set up a Spark cluster, use the Spark shell, and write Spark applications to solve parallel processing problems (italicized by me for emphasis). If you are familiar with Hadoop, you have a bit of a head start on figuring out how to interact with HDFS and how to manage a cluster, but either way, we will cover basic distributed execution concepts. The full chapter devoted to Spark’s core abstraction for doing data-intensive computations—the resilient distributed dataset (aka RDD)—is a standout. The other standout chapter is the one that gets into the nitty gritty of configuring a Spark application, and which also provides an overview of tuning and debugging Spark workloads in production. When reading books, we’re all gotten used to doing the inevitable google searches periodically—to compensate for the equally inevitable gaps in the narratives of any given technology book—but this book is mercifully free of the aforesaid read-some, search-online-some, resume-reading syndrome, yay! Its inner workings are complex, resting as they do on a mixture of distributed systems theory, practical engineering, and common sense. And to the uninitiated, Hadoop can appear alien. But it doesn’t need to be like this. Stripped to its core, the tools that Hadoop provides for working with big data are simple. If there’s a common theme, it is about raising the level of abstraction—to create building blocks for programmers who have lots of data to store and analyze, and who don’t have the time, the skill, or the inclination to become distributed systems experts to build the infrastructure to handle it. The book is divided into five main parts: Parts I to III are about core Hadoop, Part IV covers related projects in the Hadoop ecosystem, and Part V contains Hadoop case studies. You can read the book from cover to cover, but there are alternative pathways through the book that allow you to skip chapters that aren’t needed to read later ones. Tom is now a respected senior member of the Hadoop developer community. Though he’s an expert in many technical corners of the project, his specialty is making Hadoop easier to use and understand. Given this, I was very pleased when I learned that Tom intended to write a book about Hadoop. Who could be better qualified? Now you have the opportunity to learn about Hadoop from a master—not only of the technology, but also of common sense and plain talk. Don’t miss this work (Hadoop: The Definitive Guide, 4th Edition ) by the leading popularizer of Hadoop, who is doing for Hadoop what Martin Gardner has done for mathematics! 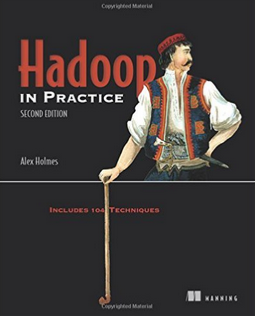 This next title is an excellent second book on Hadoop: Hadoop in Practice, 2nd Edition (Manning), by Alex Holmes. Now in its second edition, this book got a thorough update to cover changes and new features in Hadoop, including MapReduce 2. New chapters have been added to cover YARN, Kafka, Impala, and Spark SQL as they each relate to Hadoop. 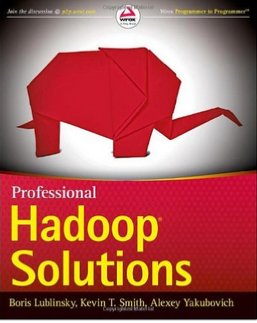 While sticking to the strengths of the first edition—approximately 100 intermediate-to-advanced Hadoop examples in a superb problem-and-solution format—the new edition continues to build on those strengths, while maintaining the high-quality in the code examples. This hands-on book targets users who have some practical experience with Hadoop and understand the basic concepts of MapReduce and HDFS. Manning’s Hadoop in Action by Chuck Lam contains the necessary prerequisites to understand and apply the techniques covered in this book. Many techniques in this book are Java-based, which means readers are expected to possess an intermediate-level knowledge of Java. An excellent text for all levels of Java users is Effective Java, Second Edition by Joshua Bloch (Addison-Wesley). One thing I really, really like about this book is the abundance of useful diagrams and code snippets, all of which are profusely annotated with thoughtful comments! I would say that the barrier-to-entry to this book is not all that high—hastening to add that this is most emphatically not the same as saying that the contents are trifling—so if you’re determined, don’t shy away from tackling this book (along with, importantly, having an introductory book by your side, such as the fine book entitled Hadoop: The Definitive Guide, by Tom White, and which is also reviewed above). 1. Background and fundamentals: Chapter 1. Hadoop in a heartbeat, Chapter 2. Introduction to YARN. 2. Data logistics: Chapter 3. Data serialization—working with text and beyond, Chapter 4. Organizing and optimizing data in HDFS, Chapter 5. Moving data into and out of Hadoop. 3. Big data patterns: Chapter 6. 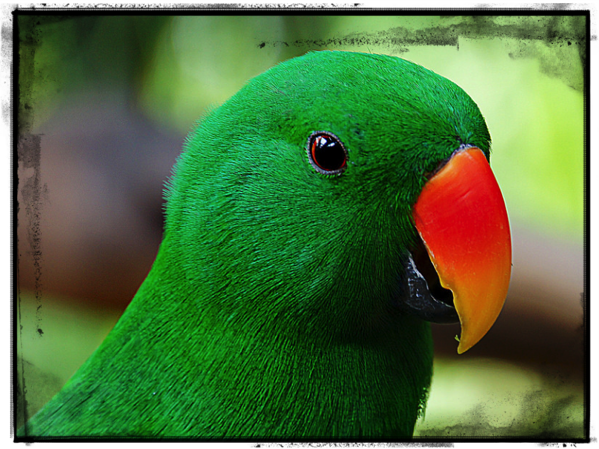 Applying MapReduce patterns to big data, Chapter 7. Utilizing data structures and algorithms at scale, Chapter 8. Tuning, debugging, and testing. 4. Beyond MapReduce: Chapter 9. SQL on Hadoop Chapter 10. Writing a YARN application. This book (Hadoop in Practice, 2nd Edition ) is packed with helpful material which—far from being cluttered in any way—is pleasingly organized and makes for smooth reading and a rewarding learning experience. Once comfortable with the Hadoop paradigm, you’ll be able to appreciate the gem of a book we’ve got in this next title: Professional Hadoop Solutions (Wrox), by Boris Lublinsky et al. The authors have assembled a first-class collection of design expertise narratives. Although many publications emphasize the fact that Hadoop hides infrastructure complexity from business developers, you should understand that Hadoop extensibility is not publicized enough… Hadoop’s implementation was designed in a way that enables developers to easily and seamlessly incorporate new functionality into Hadoop’s execution. A significant portion of this book is dedicated to describing approaches to such customizations, as well as practical implementations. These are all based on the results of work performed by the authors. They go on to explain cogently the reasons why great emphasis is placed on MapReduce code throughout the book. So if you approach this book with the mindset that the narratives will directly revolve around MapReduce, you’ll glean quite a bit of value out of this book. Their explanation of the MapReduce paradigm, as well as its nuts-and-bolts mechanisms, really are top notch. 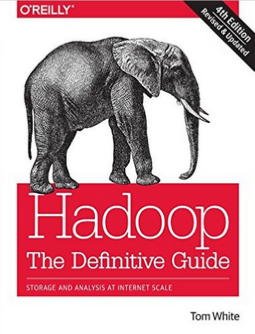 The Appendix toward the end of Professional Hadoop Solutions is especially rich and useful. Overall, I’m glad to have found this book! But first a fair warning is in order about this next book: Once you start reading it, you’re going to have a terribly hard time putting it down or, for that matter, doing anything else before you’ve read it all! Such was my experience of reading (and re-reading) this page-turner of a book: Data Scientists at Work (Apress) by Sebastian Gutierrez. Consider this… We have these marvelous frameworks—in Spark, Hadoop, Storm and others—but surely they were not created in some ethereal vacuum. Right, these frameworks were of course created in the service of genuine business needs, and to solve pressing problems that folks were facing. So if you’re looking for the scoop on this nexus (i.e. the potent symbiosis between the aims of Data Science and what Big Data has to offer), this is the book for you. The corpus of this book is made up of in-depth interviews of 16 gifted data scientists. What makes these interviews incredibly engaging is the spectacularly good job done by the interviewer (the author of this book), Sebastian Gutierrez. His academic training is from MIT—where he earned a BS in Mathematics—and he is a data entrepreneur who has founded three data-related companies. The pointed and evocative questions asked throughout the book could only have come from someone who knows the pragmatics of the Data Science field inside-out! 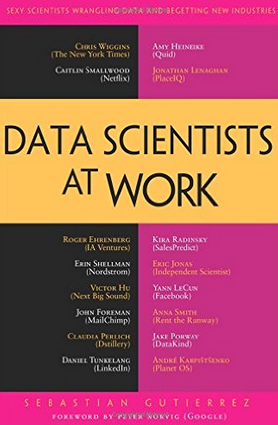 And therein lies the immense value of this book: Detailed answers by 16 top data scientists as they shed light on the human side of data science, their thoughts on how this field is evolving, where it’s headed, plus plenty of straight-from-the-trenches stories about their work. I have always been fascinated by math puzzles and puzzles in general. The work that I do is a real-world version of puzzles that life just presents. Data is the footprint of real life in some form, and so it is always interesting. It is like a detective game to figure out what is really going on. Most of my time I am debugging data with a sense of finding out what is wrong with it or where it disagrees with my assumption of what it was supposed to have meant. So these are games that I am just inherently getting really excited about. My interviewing method was designed to ask open-ended questions so that the personalities and spontaneous thought processes of each interviewee would shine through clearly and accurately. My aim was to get at the heart of how they came to be data scientists, what they love about the field, what their daily work lives entail, how they built their careers, how they developed their skills, what advice they have for people looking to become data scientists, and what they think the future of the field holds. So Data Scientists at Work is a fantastic book overall, if this sort of thing piques your interest. The authors are clearly experts in the Hadoop ecosystem, and what they’ve put together is more than what you’ll find in the endearing O’Reilly “cookbook” series. Thus, they don’t call out specific problems and accompanying solutions. Instead, they share the lessons that they have learned along the way to becoming experts in the Hadoop ecosystem. Note, too, that this book is mostly about the analytics side of Hadoop and MapReduce. The motivation for us to write this book was to fill a missing gap we saw in a lot of new MapReduce developers. They had learned how to use the system, got comfortable with writing MapReduce, but were lacking the experience to understand how to do things right or well. The intent of this book is to prevent you from having to make some of your own mistakes by educating you on how experts have figured out how to solve problems with MapReduce. So, in some ways, this book can be viewed as an intermediate or advanced MapReduce developer resource, but we think early beginners and gurus will find use out of it. First, there is conceptual value in understanding the lower-level workings of a system like MapReduce. The developer that understands how Pig actually performs a reduce-side join will make smarter decisions. Using Pig or Hive without understanding MapReduce can lead to some dangerous situations…. Second, Pig and Hive aren’t there yet in terms of full functionality and maturity (as of 2012). It is obvious that they haven’t reached their full potential yet. Right now, they simply can’t tackle all of the problems in the ways that Java MapReduce can. 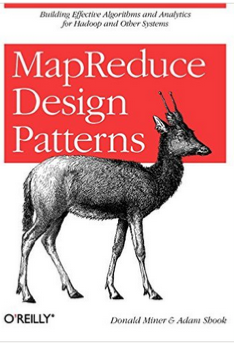 With the caveats noted above, MapReduce Design Patterns: Building Effective Algorithms and Analytics for Hadoop and Other Systems is a book absolutely worth exploring! 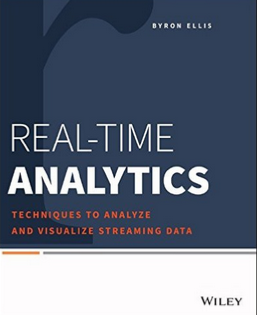 This next book is impeccably written in an eminently thoughtful style—Real-Time Analytics: Techniques to Analyze and Visualize Streaming Data (Wiley), by Byron Ellis. The author is the CTO of Spongecell, and he has a Ph.D. in Statistics from Harvard University. No doubt, with enough determination and time, one can do online searches and cobble together a solution to handle real-time, high-volume mega data. But that begs the question, and I’m not questioning anyone’s tenacity here: Is that really the ideal strategy? And that’s where the book shines—What makes it stand out is the care and thought that have clearly been poured into making this book a one-stop resource for crafting end-to-end solutions for effectively grappling with real-time, high-volume mega data. The goal of this book is to allow a fairly broad range of potential users and implementers in an organization to gain comfort with the complete stack of applications. When real-time projects reach a certain point, they should be agile and adaptable systems that can be easily modified, which requires that the users have a fair understanding of the stack as a whole in addition to their own areas of focus. “Real time” applies as much to the development of new analyses as it does to the data itself. Any number of well-meaning projects have failed because they took so long to implement that the people who requested the project have either moved on to other things or simply forgotten why they wanted the data in the first place. By making the projects agile and incremental, this can be avoided as much as possible. The hope is that the reader of this book would feel confident taking a proof-of-concept streaming data project in their organization from start to finish with the intent to release it into a production environment. 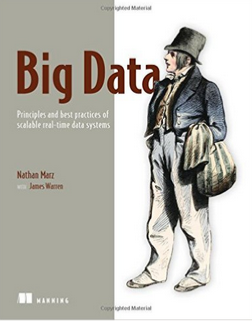 Last, but certainly not the least—continuing now in the spirit of frameworks that enable us developers to tackle real-time, streaming data—is a book by Nathan Marz: Big Data: Principles and Best Practices of Scalable Realtime Data Systems (Manning). The author happens to be the originator of the Lambda Architecture approach to programming in the world of Big Data, and he deploys his considerable knowledge of this approach in explaining the details. This book is the result of my desire to spread the knowledge of the Lambda Architecture and how it avoids the complexities of traditional architectures. It is the book I wish I had when I started working with Big Data. I hope you treat this book as a journey—a journey to challenge what you thought you knew about data systems, and to discover that working with Big Data can be elegant, simple, and fun. Rich Hickey has been one of my biggest inspirations during my programming career. Clojure is the best language I have ever used, and I’ve become a better programmer having learned it. I appreciate its practicality and focus on simplicity. Rich’s philosophy on state and complexity in programming has influenced me deeply. In sum, this is a worthwhile book, nicely structured into theory and illustration chapters. 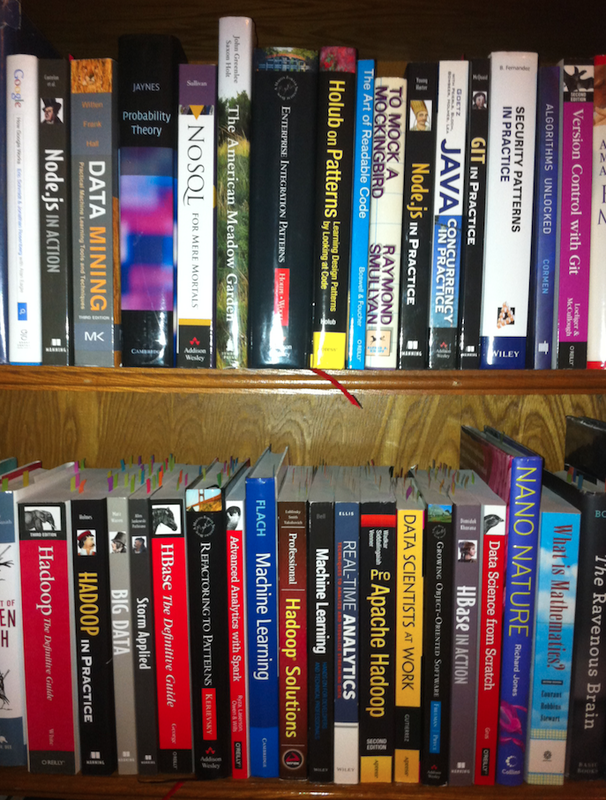 Did I omit any of your favorite Big Data book(s)? As with my prior post, which contains a set of book vignettes—those pertaining to the finest and most useful books on Scala in print—my aim here, too, in sharing these brief reviews remains the same, albeit on a different subject (Big Data) this time: I hope these vignettes will help you in selecting your resources well, and help you in your journey to grokking the Big Data solution space! IOT Training in Bangalore – Live Online & ClassroomStudents are made to understand the type of input devices and communications among the devices in a wireless media.IOT Training course observes iot as the platform for networking of different devices on the internet and their inter related communication.